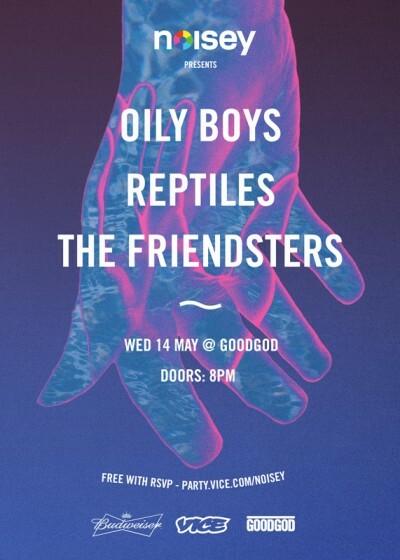 Noisey return to the Danceteria for another huge free party, with three faves – the brash, loud Oily Boys, Reptiles’ return from a US tour, and Sydney’s Friendsters. Want to come? It’s totally free! RSVP now.